With Google Assistant, the Internet giant Google took AI-based digital assistance to another level. Last year, Google released versions of Google Assistant on three different products – the Pixel smartphones, Google Allo, and Google Home. Until now, the only way to interact with the Assistant outside the Allo app has been to use voice, but that may soon change. In its teardown session of APK file for a new beta version of Google app for Android, Android Police discovered that the keyboard-based input could be coming to the Google Assistant for the Pixel and Pixel XL. 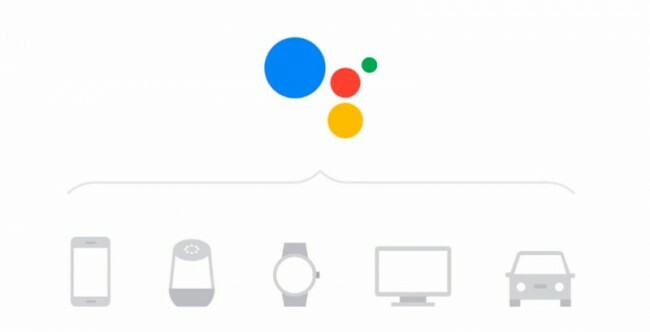 Presently, you can only communicate with Google Assistant through voice on Pixel smartphones. When this keyboard input feature finally arrives, a keyboard icon will start showing up while you interact with Google Assistant, and tapping on it will allow you to type your query. However, it still remains to be seen if there would be a difference between the sort of replies you get from Google Assistant with and without the keyboard input, though we’d be surprised if there was any difference. The APK file teardown also revealed Assistant could add support for Android Wear, but it’s still not clear if this would only be for wearables paired with Pixel smartphones, or a wider range of phones. In addition, there’s another feature that has been discovered in the teardown. It’s a bare mention of ‘search gestures’ in the APK file, which suggests Google might be testing some gesture input feature in the Pixel launcher or Google Now launcher. It’s not clear when these features will ship to all users. This week at the CES trade show, Google said that Assistant will now be making its way to supported Android TV devices in the US. Google’s artificial intelligence-based digital assistant will be released for Nvidia’s new Shield, as well as other Android TVs running on Android 6.0 Marshmallow or higher, which includes AirTV Player, Sharp Aquos, Sony Bravia, and Xiaomi Mi Box.